Today I am thrilled to share a very exciting sew along - The Splendid Sampler. Pat Sloan and Jane Davidson came up with the amazing idea to invite 80+ designer to create original blocks for a year long Sew Along! When Pat contacted me back in August to be a part of this wonderful project, of course I said "yes"! As a designer, I have access to the patterns before the QAL starts and I have to say they are incredible! The quilt along starts February 14th and you can find all the details [HERE]. 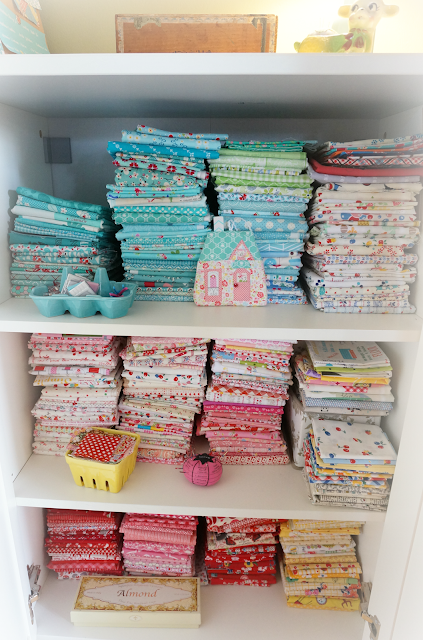 There is a Facebook group which is a great way to share fabrics and get to know everyone. You will also find an extensive list of sewing tutorials on the blog as well! From Applique' to English Paper Piecing to Foundation paper piecing! I've made six blocks so far and can't wait to share my versions of the designs - they are absolutely amazing! I am going to use my extensive stash for the quilt along focusing on happy Yellow and Red.